Gadanho, Pedro; Laia, João; Ventura, Susana (eds. ); Utopia / Dystopia: A Paradigm Shift in Art and Architecture. Milano: Mousse Publishing, Fundação EDP, March 2017. Cover photograph by Bruno Lopes, courtesy Fundação EDP. It is at these particular moments in history that utopian projects become more urgent, albeit, nowadays, nearly always framed and understood through correlated visions of dystopian worlds, proving on one hand the resistance of the very utopian function in thought, which seeks to distance itself from the state of things, and on the other hand the change and profound alteration of the very paradigms and traditional utopian models. Since Yevgeny Zamyatin’s We (1924), one can hardly separate the utopian vision from the dystopian one, whose ambiguity stems from the inversion of the categories. Dystopia appears in this romance not only in the critique, which became recurrent in traditional utopias (the one of suppression of individual expression and freedom), as well as in the critique of what came to constitute itself as the utopian expression of the modern movement (the inscription of the capitalist system’s production and market laws on the different activities and the consequent suppression of the shock caused by the experience of the metropolis through the alteration of socioeconomic models, which would allow the proletariat economic, social, and political control). In turn, the utopian fantasy is born on the other side of the so called “green wall,” where nature reigns uncontrollably free. There isn’t, then, any strangeness in the negation of the eminently positive character (puerile at times) that had, beforehand, been attributed to utopia. On the contrary, utopia is, since its genesis, as demonstrated by Fredric Jameson, profoundly negative, born from the abolition of the “evils” of the world (eradicating memory itself), or better still, from the profound desire to eliminate all that denies the political expression of communities, considering this the critique of all economic, social, and cultural systems, which inform life, capable of making the collective consciousness and respective revolutionary power disappear. 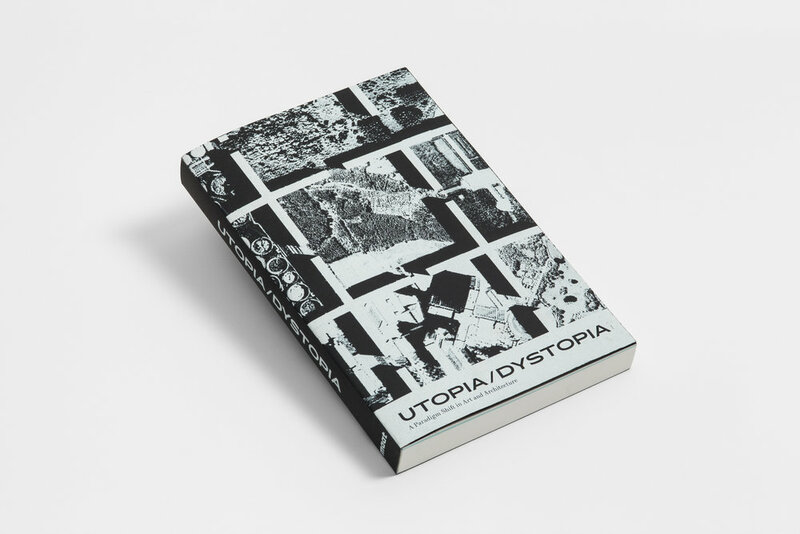 Or, as Boaventura Sousa Santos reminds us (as a follow-up to Jameson, certainly), utopia is a necessity that corresponds to a dissident way of being here and now. It does not belong, therefore, to the realm of possibilities (to which we add that the possibility belongs to reality and, therefore, it may never constitute itself as radically another), but, precisely, to the imagination of something that is impossible. And this necessity always stems from inconformity, when the present reveals itself as intolerable. It is, then, the utopian conscience that imposes itself. It is not about imagining the future but about altering, radically, the conditions of the present so that the future is another: “Free oneself from the fear of the future by fixing the future as the present.” This present-future is equivalent to the idea of Not-Yet that Ernst Bloch foresaw in each utopia—the imagination of something that doesn’t exist yet, which reveals itself to be inaccessible and impossible at the limit of logical thought, but which may be born out of the present condition, if that desire of collective anticipation exists. Art is nearly always associated with this Not-Yet, whether through the act of creation itself, expression of freedom, and revolution, or the unique sensibility artists possess to “anticipate” the future, managing to pinpoint in existing reality the conditions for radical transformation (that which exists potentially in the world). Le Corbusier takes account of the reality of class in the modern city and transposes the conflicts to a higher level, giving life to the most elevated proposal for the integration of the public involved as operators and active consumers in the urban mechanism of development, now rendered organically “human.” Thus our initial hypothesis is confirmed. Architecture as ideology of the plan is swept away by the reality of the plan when, the level of utopia having been superseded, the plan becomes an operative mechanism. Le Corbusier’s plan for Algiers expresses three fundamental ideas—freedom, integration, and collective participation (without denying individual expression)—which not only inscribe the necessities dictated by capitalist production, but transform them into critical matter and thus responsible for the creation of the plan itself. What, for Tafuri, is Le Corbusier’s realism, which oftentimes was wrongly considered utopian. Never has Le Corbusier been this contemporary. If one thinks about current architectural collectives (the contemporary architectonic reinterpretation of The Communist Manifesto—artistic creation as the result of collective participation abolishing individual intellectual property) who defend an architecture based on participative models, an architecture capable of responding to collective needs, without jeopardizing individual expression, architecture that may be, in itself, a democratic space when the projects start belonging to the public space, one understands it is about the necessity of claiming the real as producer of a better life. When Alejandro Aravena places in the public domain the designs of four of his social housing projects, he is recovering the political and utopian function of architecture, incorporating even its own end, dictated in fact by Tafuri when he affirms that, removed its ideological role, architecture would hide behind the “rediscovery of disciplinary autonomy or neurotic attitudes of self destruction.” What real does contemporary architecture create between utopia and dystopia? By the Unité d’habitation, after the dismantlement of the Calais jungle, there have been, day after day, more migrants appearing. They went through Paris and now they are scattered a bit all over France. Wandering among the massive blocks we inherited from the modern construction magazines, sitting on improvised benches waiting for the time that never comes, the time they never knew in their lands of origin, that which promised to bring prosperity. Others search for secluded places, subterranean tunnels, while on superficial space, the everyday spaces try to escape the inevitable fall through the unstable equilibrium of the bodies. There is a city, on the other side of the world, where buildings are, still, symbols of order and power, expressions of the time that, despite claiming equality among all, evidences, now, the enormous difference which always was present. The map shows, clearly, the juxtaposition of the plans of two contemporary cities, the same difference that exists among those who now wander by the Unité and many other collective housings, ex-Siedlungen (constructed utopias, they were called) all over Europe. Avoiding the fall or rebirth of the city center dedicated to the spirits. And those who constructed the city their contemporary, the voices which were silenced with death and, perpetually, ignored in the voices of those who thought were building the social city? They proposed rehearsing another model. The buildings are made of cardboard with thick lines made by some black marker and the minimum objects to characterize the everyday spaces. The negotiations take place among the various elements of the community. They are simple to our eyes and there is, again, even if for a brief moment, a new harmony. The tasks, shared. The acts, the fundamental ones. But may architecture be made of cardboard, or was it, in reality, assassinated. With the modern movement’s crisis, architecture saw itself confronted with its own impotence (and failure) in transforming the world into a better place, annulling differences between classes and subverting the devouring logic of capitalism, what Tafuri describes in his 1976 book Architecture and Utopia, whose cover illustration reproduces the picture Aldo Rossi dedicated to him: L’architecture assassinée. A Manfredo Tafuri. This is not a peaceful loss, as the works of Kader Attia, Inci Eviner, Jonas Staal, Clara Ianni, Jordi Colomer, and Superstudio (fictitiously described above in a written collage) denounce. In these lies a final necessity of exposing the contradictions and ambiguities of the original project—which Tafuri himself does—and the political conscience that these appear to claim for architecture, pinpointing today, however, specific contexts where experimental critique may extravasate reality and build that impossible, that Not-Yet. One cannot be truly a political being without a utopian conscience, which means recognizing the failure of totalitarian and absolutist projects while acting utopian, longing to build the impossible, altering the conditions of the present in a radical way, and acting in fringes of the community, where the basis of any humanism is questioned, precisely, as “the fundamental acts.” Of those who reclaim the political condition of architecture, proclaiming clichés such as “architecture is always political,” how many, in reality, work with communities where it is urgent to activate and operate that consciousness? The big decisions in life, those that mold the behaviors of people and the way they inhabit, remembering the Atti fondamentali of Superstudio, are politically and socially coded in a much earlier stage than that of the architectural project, whose own instruments limit and bound the subversion of predefined systems, with repercussions up to nowadays, in the incapacity, which Jameson alerts, to think about alternative models to the capitalist logic. With this notion of “realism,” [Diyar] Hesso does not refer to a figurative realism, an art that derives from the mimicry of natural appearances. Rather, Hesso speaks of a revolutionary realism, meaning the kind of reality that becomes possible through a revolutionary practice but is not yet present. Revolutionary realism means that we reject the scripts that define what is realistic and what is utopian, what is proper citizenship and what is a terrorist act. Revolutionary realism focuses on shaping new possible realities once we have rejected the forms that structure our current performance, in this case specifically controlled within the stage of the nation-state. On the rapid takeoff of the self-suspended social condenser among the dense clouds of dust, one sees all the spoils of obsolete technologies, daily objects out of depth and old icons adrift in the middle of the ocean. Buildings pile up, while rapid transit systems orbit, rapidly, around the floating city. From above, one sees the suspended garden of the Panda Palace—an oasis that escapes the regular rhythm and paradisiac refuge of couples—and the enormous giant fish waterfalls. Here, the portion of land is minimal, but seems to have its own life animated by the circle of the artificial day and the night of fire, while a little all over the earth surface rubble and ruins of whole cities are accumulating, contaminating the soil and causing the crack, here and there, of the supersurface or the common land, which protected the subsoil in its purest state, the eternal spring, and which, in time, reached the most recondite and uninhabitable places of the planet. London, Paris, are, still, disproportionate in their radical measures. One perpetuated ad infinitum the enclave of the strip over de old town, where many inhabitants voluntarily sought refuge and whose model resurfaced one hundred years later in other cities or under other grammatical model for expansion—an enclave subjective enough, on a large scale, adapts to the instability of life and allows, within its limits and in the sequence it organizes itself in, the most unpredictable urban development. The other stratified ever more. On land-Paris, the giant LVMH overcrowded all the peripheral ring, leaving free, solely, the big road radials accessing the infinite neon-towers. From the suburbs—Avenue Montaigne, Boulevard Saint-German, among others—one recognizes few vestiges of aerial-Paris, where elevated passages alter, progressively its position with the movement of supersize asses, anchored on the biomorphic tower which still maintains contact with the subsoil. Every here and there, only small portions of cultivated fields survive, on the rare moments when the space city of aerial Paris found its balance between individual will and the future of a community. To Bloch, architectonic utopias are those “castles in the air,” sublime forms that express a society’s desires for perfection in a given historical moment, besides any ideological expression, whose resonances, however, traverse time and space (the ideal of perfection never reached and always reinvented). If we question what it is that is architectonically utopian, we are impelled to imagine buildings that extravasate the known reality and defy all laws of physics, material and technological, acquiring impossible forms and unpredictable mutations or models of whole cities, projected ad infinitum, denying the first condition of utopia, the one that defines it specially as a place that doesn’t exist in reality, a fictitious place wholly constructed on and by imagination. Nevertheless, architectonic utopias are not simple formal fantasy exercises. Under their extravagances and inversion paradigms, subversion, humor, and irony (composition artifices used in many of the works herein mentioned and that have their beginning in a logic of excess), there are hidden forces capable of dramatically altering instituted forms. It is not by chance that many of these works—which propose imagining the architecture of the future—contain, still, bits or pieces of existing realities, making, that way, an important passage, not only on a formal level (familiar forms are incorporated into fictitious ones, even in the most fantastical works, as in the architectures of Lebbeus Woods), but, mostly, historic and from the times: from the past and the collective memory, including the present which is past already, to the future, which, in the utopian work, is already a latent present. This transduction of forces is only possible, in fact, through a careful reading of the invisible layers of the social, political, and cultural fabric that define the space (what the Atti fondamentali of Superstudio denounce) and of a radical critical response that activates the necessary processes of differentiation. The utopian visions in the architecture of the future coincide, still and nearly always, with profound historical changes, reaffirming the real existence of the necessity of effectuating the passage that the work experimentally rehearses. In this sense they acquire, several times, an emancipatory potential that one doesn’t apprehend from the imagined forms, but from the critique these edify, as with the Berlin Wall, reinvented in the work by Rem Koolhaas, Elia Zenghelis, Madelon Vriesendorp, and Zoe Zenghelis, or to the city of superconsumption in Archizoom’s capitalist society (“the city was understood as a capitalist machine capable of resolving all the contradictions”). It will not be, consequently, the form by itself, but the program to which it responds, as Yona Friedman, for example, reclaimed in his Spatial City. The form resulting from the manipulation of the spatial elements by the inhabitants would always be secondary, or even irrelevant, if it allowed, precisely, maximum freedom in the appropriation and the utilization of the former according to the will of each of its inhabitants. The speculation on the form serves the main program of the freedom of appropriation that, in Spatial City, appears to find the formal expression of a castle in the air constructed among fluid and infinite lines, predicting, yet, a minimum interval of reading and coexistence with the historical strata (the present-past as a remembrance of the present-future). Individual freedom allied with spatial flexibility and informality has become, however, the most recurrent program of the utopian forms of the second vanguard movements. And, curiously, this condition assumes its maximum expression on the RMB City (2008) by Cao Fei, a real city built in a virtual space, Second Life, where avatars of real people may appropriate the different spaces and use them according to their most obscure desires. But the spaces of this city, constructed from the ruins of a postapocalyptic China, are a pure scenario for complex human relations, notwithstanding the hosting of events in some of the spaces, interacting with real agents. In a recent interview about the influence Constant might have exerted upon his work, Rem Koolhaas concludes (and in his words there is no nostalgia of any kind): “The whole idea of investing time in how it should be has simply evaporated.” As a castle in the air? The sweet dark chants echo, raising, in between drumming, the dense air of the megalopolis, filling it with color and rhythm. Afar, the silhouettes of the high towers tear the warm sunset sky, snaking through light lines of cable cars, which are, today, exclusive pathways for the inhabitants who, for many years, have been overlaying their houses on the privileged terrains of the city, so they could benefit from the most basic conditions: adequate sanitation, potable water, electricity, transit system, healthcare, schools and cultural buildings. Before the informal occupation of Lagos and the effects that started having repercussions on several cities, from Chicago to Rio de Janeiro, through Mumbai and Buenos Aires, many were those who risked the asphyxiating transport of their frail bodies, conscious of the decision they took on their own death. But it was in the future gesture, on the violent confrontation with the image of despair, when someone would open that box, already on the other side of fortune, which their hope consists of (the hope after death, as in their primitive sacrifices). Albeit restricted groups alienate themselves on the top of big skyscrapers, on the final transport destinations, expressing, simultaneously, that indifference towards the Other and for the consequences of unbound industrialism, which generated that abyss on their lands of origin. Instead of a small transport box for individual bodies, one day there was, as well, a giant wrapping, what Trojan horse, of unimaginable dimensions, which, more than providing a roof and the elementary conditions of inhabiting, kept the dreams and the desires of whom inhabited it, spreading music and chants wherever it passed. However, its march was slow, and many refused to push the city toward the future. What, then, is architectonically utopian? Retaking the question that originated the previous hypothesis, our answer slightly changes its meaning at this moment. It is not about exercises in imagination and fantasy about the “architecture of the future” (despite some of the works, in this hypothesis, also exploring that path), but rather of imbuing the architectonic decision with a utopian potential. The work of architecture stops being the necessary place for things to happen (the material place of a social utopia, as has happened with the Frankfurt School) and starts being the mechanism through which things happen, constructing a utopia at the same time that, through its action or the set of actions affected to it, it makes possible that utopia’s actualization in the real. One of the most expressive examples is the idea of Kitchenless City—a city composed of residential blocks whose apartments don’t have kitchen spaces, the inhabitants making use of a centrally located communal kitchen—which dates back to the nineteenth century (reappearing recently in the work of Anna Puigjaner), whose architectonic model, in its multiple variations, allowed the liberation of the woman from private domestic work and the reciprocal construction of an egalitarian society, where the idea of sharing prevailed. This architectonic model plays an important utopian function, which differs, for example, from the origin of the Siedlungen, which were thought to imbue, in their production, the desired supremacy of the proletariat. However, nothing on the architectonic models of those houses anticipated the construction of the utopia itself (the control of the market wasn’t enough for the architectonic model of the house, which this was able to produce in turn, to eliminate class cleavages, since in reality the opposite effect—the cleavages were accentuated—only, actually and paradoxically, reversed with small elites acquiring the formerly controlled-cost housing). The models designed by Marie Steven Howland or Alice Constance Austin, two North American utopian feminists, embodied utopia itself, both at the production level (Austin mentioned, for example, that centralization allowed a simultaneous economy of labor, materials, and space), and in daily family relationships among inhabitants and the creation of an effective and spatially communal life. We find another example in Constant’s proposal for a gypsy campsite, after his encounter with the gypsy community of Alba (where he also met Guy Debord), which corresponds, as he said himself, to the origin of his New Babylon. Pedro G. Romero reminds us, for example, quoting Vaida Voevod III, then president of the Communauté Mondiale Gitane, which Constant transcribes in his text “New Babylon,” where he appeals to “a world without borders, a free world, without guns, where each person could travel unimpeded, from the Central Asian steppes to the Atlantic coast, from the South African plains to the forests of Finland,” adding that, looking at the current geopolitical map, this world exists solely in the realm of science fiction. Notwithstanding, it is on this very model of the gypsy campsite (a spatial model capable of generating new ways of inhabiting, occupying, and circulating) that we recognize the assumptions that still contain a utopian potential in the present condition, if we want to act in specific contexts and problems, as for example in the creation of spatial models that answer, effectively, the current migrant and refugee crisis. The nomad-migrant personifies that desire to build a home even in the most inhospitable terrain, where the earth doesn’t bloom and the people don’t know how to receive him or her (as still happens, unfortunately, with gypsy communities). Relevantly, Didier Faustino’s Body in Transit 1.0 (2000) confronts us through the most cruel and dystopian vision, with death as the final possibility of choice for many migrants and refugees, whose destination, sixteen years after this work of art, remains fatal. Many of these works present us with dystopian visions to activate the utopian function, because it is in the most agonizing vision that one recognizes the absolute necessity of the creation of another future (the present rapidly becomes intolerable). Curiously, the dystopian vision of Vigilism, aired in his Shanty Megastructures in Lagos, Nigeria, corresponds, inversely, to what succeeded in Medellín, Colombia. In the middle of the slums, important public works of architecture were built—museums, schools, and libraries—and effective infrastructures were created: the same cable cars that clip the fictional image of Lagos by Vigilism traverse the slums of Medellín. Can architecture, reverting to what the very history of the modern movement (with which we initiated the first hypothesis) taught us, build the utopia? Our hypotheses don’t exist in isolation. They appear, in the different exhibited works, several times intertwined. A work will only manage to create a utopia if there is an a priori political consciousness, and the most bizarre forms of future visions can’t ignore individual desires, which, as revealed in the work of Alexander Brodsky and Ilya Utkin, can’t be dissociated from the architectonic environment and go much beyond the basic conditions of inhabiting. There is, in our desire, that place we would like to call Paradise, the last of the heterotopias, the intercalary space between utopia and dystopia (the mirror of which Michel Foucault speaks of), which is born from the ruins of these two states, the space where the current production of the real takes place. Henceforth, Paradise is not the place of total liberation of imagination and fantasy usually associated with utopia, nor the place of total abolition and rupture created by dystopia, but a place where both states become active and operative. In some parts of the world, this place is known as the place of art, where we would like to include, equally, architecture.